Apple has explored the ability to transfer a file from one cell phone to another during a connected call, according to a new patent filing revealed this week. Similar to an application revealed in June, the new filing includes descriptions for sending text messages, e-mails, contacts, documents and more to a caller while two phones have established a voice connection. 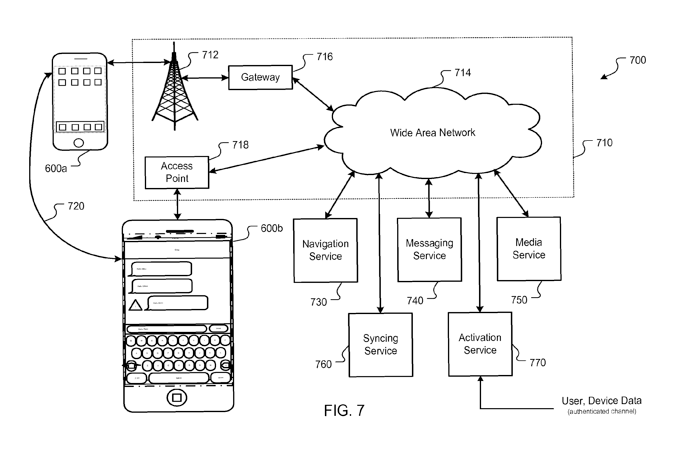 Entitled "Auto Messaging to Currently Connected Caller," the 16-page patent application was filed for in February of 2008. "While a user of a mobile device is using telephony services, the user may want to send a message or a file to another part," the patent reads. "To send this information, the user may have to disconnect the call, and then perform a lookup of the caller's contact information prior to being able to send the message or file. This multi-step process can be tedious for the user." Apple's possible solution would offer a user interface that would provide users voice and message capability access while on a call. The system would automatically detect caller details and relay the information in the appropriate direction. The document even describes a scenario with a conference call and multiple listeners, where files could be sent to any or all included on the call. The invention is credited to Peter Henry Mahowald. It states that data could possibly be sent over a variety of network options, including GSM, GPRS, Edge, Wi-Fi, WiMax and Bluetooth. The application also describes how the receiving party's hardware might respond to the file, such as asking the user if they would like a contact to be automatically added to their address book. While similar, the patent revealed in June focused on media sharing, such as the ability to share and control playback of music and video during a call. It would possibly include an "Add Media" option to the iPhone's phone application, to allow users to transmit and share media, including video, images, voicemails and podcasts. 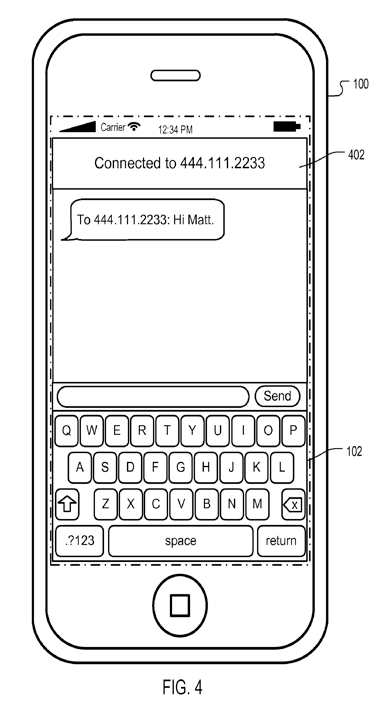 A system that would automatically enable the iPhone's speakerphone capability based on the position of the phone. For example, switching to speakerphone when the device is laid flat on a table. A shock sensor that is both active and passive. The system would recognize when a portable device is dropped, and be able to analyze when the device has failed and electronic detection is not possible. A backward-compatible device connector, allowing new cables to connect a portable device to a computer but also working, with an adapter or otherwise, with previously created interfaces. This could allow new device form factors that were otherwise impossible because of standard plug shapes.